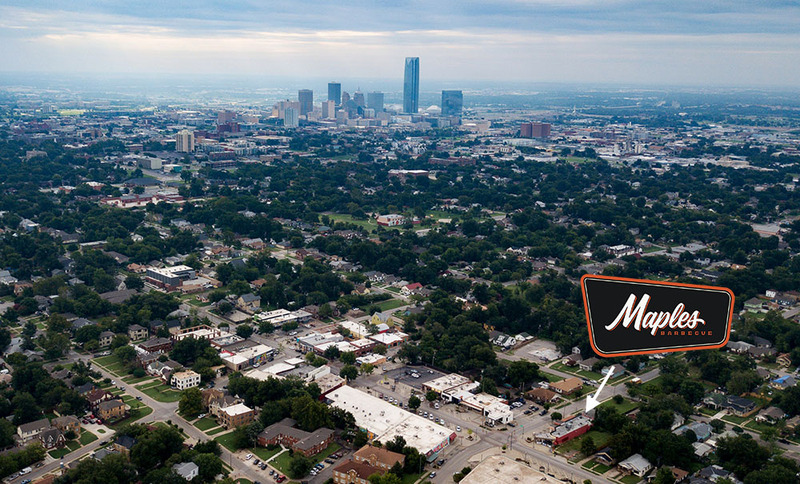 After bringing premium Austin-style barbecue to Oklahoma City through their Midtown trailer setup last year, Maples has already started work on a permanent brick-and-mortar location in the Plaza District. Proprietor Todd Woodruff of Day One Concepts (Waffle Champion, Nonesuch and soon-to-open Buttermilk Sliders) is planning an ambitious new restaurant in the building last occupied by Chiltepes at 1800 NW 16th. The property sold last Friday to an LLC headed by local attorney Stephen Sherman who in turn executed a long-term lease with Maples. Chiltepes closed in late 2017 and research reveals the restaurant had owed back taxes to the state for several years. After an extensive renovation Maples will offer a similar menu to their Midtown trailer location but greatly expand their hours and offer a full bar program. 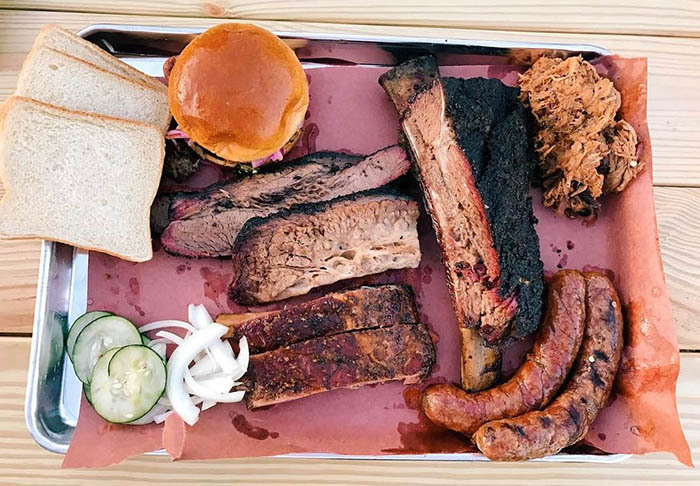 Woodruff told OKCTalk that they will add a separate smoker; one will smoke overnight for lunch business and the second will start in the morning to prepare meats for dinner and the evening. Beef ribs will be featured daily with 7 or 8 other cuts of meat (such as brisket, pulled pork and sausages) and 5 or 6 sides, including a new custard-style macaroni and cheese. Previously, Maples had employed an “open until sellout” model whereby they would open at 11AM for lunch then close once all the meat had been sold from the previous night's smoke. 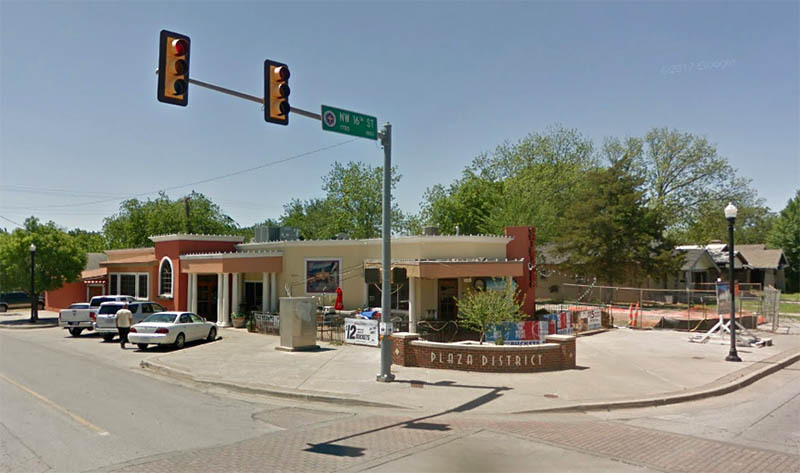 The new location on the very prominent Indiana and 16th corner at the western edge of the Plaza District will feature a bold design and a large patio. The entrance will be relocated, opening to an order line and a merchandise area. In addition to food and drink, Maples will offer a full line of branded hats, t-shirts, hoodies, flannels and other items. The bar will focus on local craft beers, bourbon and whiskey and Maine Root sodas will also be featured. Woodruff hopes to be open by May and said Maples will likely feature occasional live music.